Online pharmacy Netmeds.com has acquired Delhi-based hyperlocal drugs delivery app Pluss in a deal that will help it expand its operations in northern India and better compete with Sequoia Capital-backed rival 1mg. Netmeds, run by Chennai-based Netmeds Marketplace Ltd, didn’t disclose financial details of the all-stock deal. “This acquisition makes a lot of sense for us, since it allows us to scale quicker, and shorten the delivery interval and improve efficiency in Tier 1 metros,” Netmeds CEO Pradeep Dadha said in a statement. Pluss, owned by Alpinismo Online Ventures Pvt Ltd, will be merged with Nedmeds and will operate under its banner. Some senior executives of Pluss will relocate to Chennai and work out of Netmeds’ headquarters. The acquisition will bring Netmeds’ head count to about 450, the company said, without disclosing how many employees it has currently. Netmeds is one of the most-funded online pharmacies in the country. In October last year, it received $50 million (Rs 325 crore then) from healthcare-focused global private equity firm OrbiMed, with participation from existing investors MAPE Advisory Group and CEO and founder Pradeep Dadha’s family investment fund. Dadha's family ran Tamilnadu Dadha Pharmaceuticals Ltd, which was acquired by Sun Pharmaceutical Industries Ltd in 1997. Pluss was launched in 2015 by BITS Pilani graduate Atit Jain, former Bharti Airtel executive Madhulika Pandey and IIT-Bombay alumnus Tarun Lawadia. The firm allows users to order medicines and daily essentials as well as products for baby care, pet care and personal wellness through its on-demand delivery app. Pluss is backed by investment firm IDG Ventures India Advisors. In November last year, the startup had raised $1 million in pre-Series A funding from IDG Ventures, Singapore's M&S Partners and US-based Powerhouse Ventures. “We were being courted by a couple of big players but when it was time to pick a team, we decided to go with the undisputed leader," co-founder Jain said. 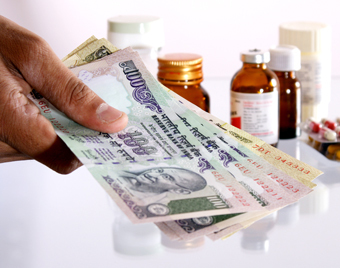 Ranjith Menon, executive director at IDG Ventures, said it is still early days for e-pharmacy in India and there are not many who are viewing it from a long-term perspective. “The opportunity to build a trusted digital health platform is very large,” he said. The deal will help the combined entity take on 1mg and a number of other online pharmacies such as Aermed, CareonGo and eSwasthya in the nascent segment that has been facing regulatory hurdles. The Drug Controller General of India has put a restriction on the sale of medicines online, but e-pharmacies claim the warning hasn’t hurt business. A number of brick-and-mortar chemists such as MedPlus and Guardian Lifecare, too, have ventured into the online segment. Bengaluru-based Practo, an appointment booking platform for patients and doctors, has also begun online delivery of medicines. Netmeds joins 1mg, a well-funded online marketplace for medicines earlier known as HealthKartPlus, in expanding through acquisitions. 1mg acquired Medd.in, a marketplace to book diagnostic and imaging tests, for an undisclosed amount in July. In May, 1mg had raised funding from Swiss investment firm HBM Healthcare Investments. The investment was in an addition to the startup’s Series B funding in which it raised $15 million from Maverick Capital Ventures and existing investors Sequoia Capital and Omidyar Network. Alpinismo Online Ventures Pvt. Ltd.